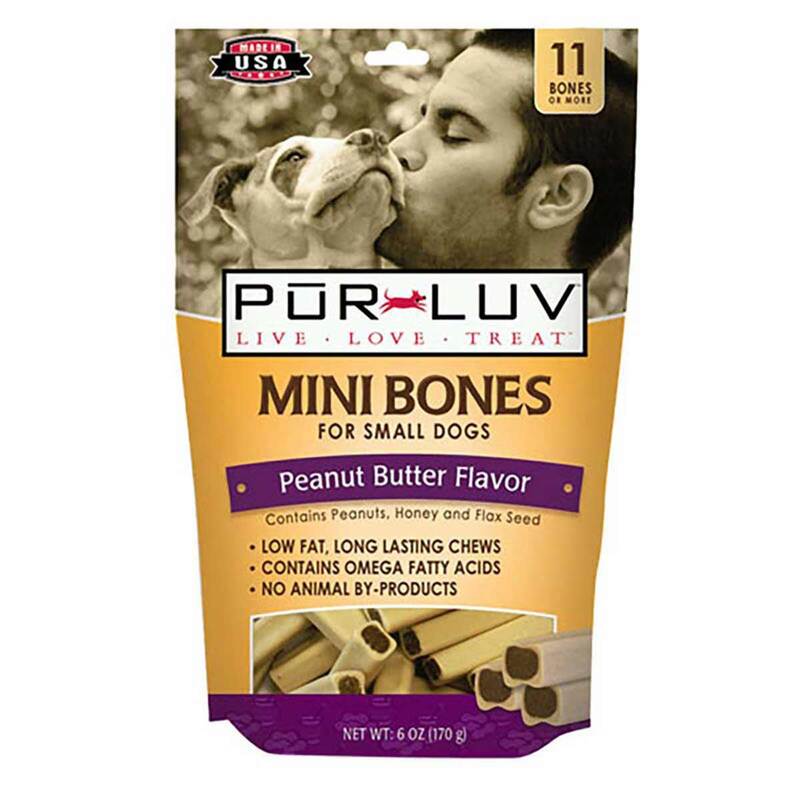 Show how much you luv your pet by giving them Pur Luv Mini Bones. These are long-lasting, tasty, nutritious treats that your dog will absolutely luv. They are low in fat and contain omega fatty acids with tomatoes, carrots and flax seed ingredients. They are a perfect size for small dogs and they help to clean their teeth.